Sendagi forms with Yanaka and Nezu the Yanesen district, one of the well known places in Tokyo where the old shitamachi spirit lingers on. 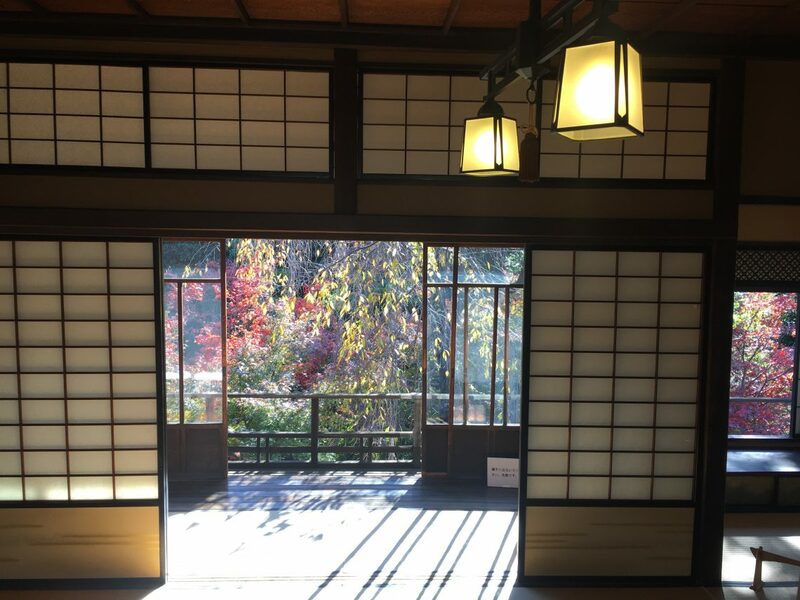 While Yanaka and Nezu both have major sights these these such as Yanaka Cemetery and Nezu Shrine, Sendagi seems to have missed out on having a major attraction, but makes up with the sheer number of authentic places to be found here. This overview is by no means complete. Also please note the following sights are only in Sendagi. Your visit should also include neighbouring Yanaka and Nezu. The former residence of Kusuo Yasuda is one of the few large traditional houses remaining in Tokyo. 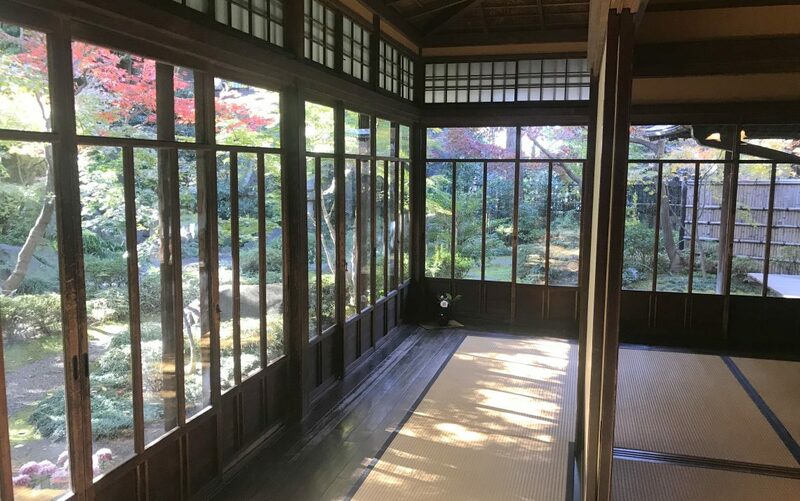 Built in 1919, this two-story wooden building is built in Japanese traditional style, making the most of the long and narrow plot it occupies. This results in a long-shaped garden and the house in a zigzag shape. The house is open to visit on Wednesdays and Saturdays. Read more. Risaku is a small restaurant in Sendagi near dango-zaka where you can eat onigiri in all kind of flavours. They offer it as a complete meal together with some soup and side dish. Read more. 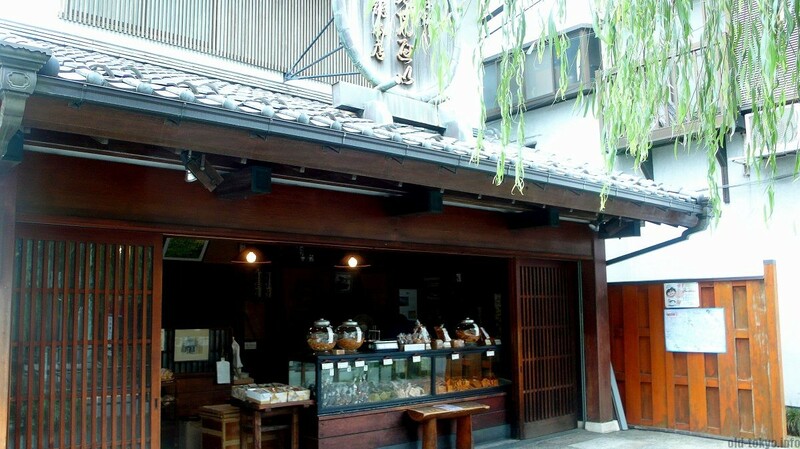 Kikumi Senbei Sohonten is a senbei shop established in 1875 and stands out with its square-shaped senbei and its beautiful store-front with large glass bowls. The name of the store originates from the kiku ningyo displays that used to be there on nearby Dangozaka. Kiku ningyo are Japanese dolls from living chrysanthemums, a type of flower art in Japan. Read more. 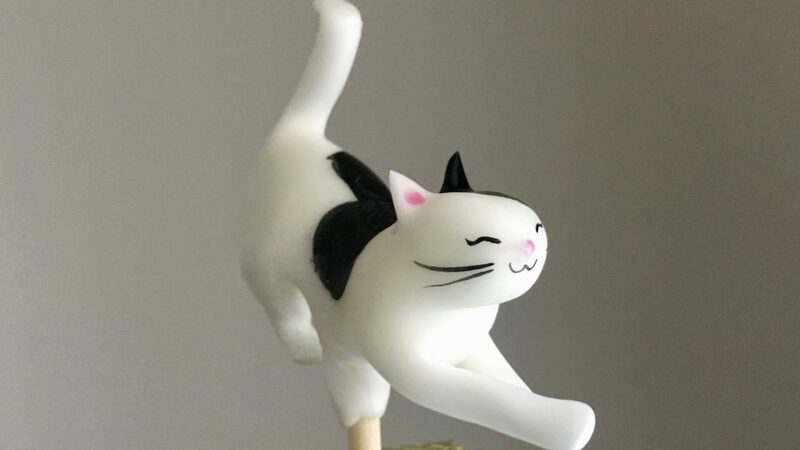 Ame Yoshihara is a traditional Japanese candy-craft shop/atelier, where a team of artists create cute figures in sugar according to the Ame-zaiku style that originated in the middle of the Edo period (1603-1868). Its flagship shop is located on Dango-zaka in Sendagi. Ame-zaiku is, rather than a craft, a performance art in which the artists makes shapes out of mizu-ame (thick gomme syrup). Ame-zaiku artists used travel around and perform at events and festivals. Read more. In comparison to Yanaka and Nezu, Sendagi offers a large number of cafes where it’s easy to spend some time. They are not too crowded, neither too small. 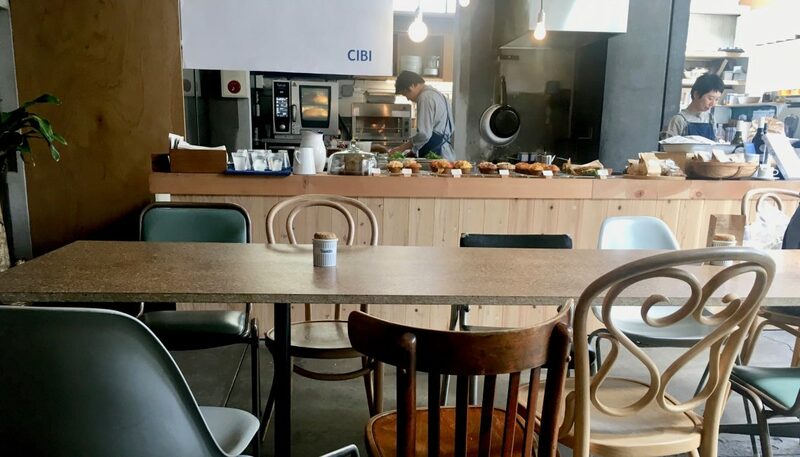 I recommend in particular CIBI and Yanesen AZ Cafe that are very close to Yanaka Ginza. Read more. Imagawayaki has its roots in the Kanda neighbourhood in Tokyo. It thanks its name to a shop located near Imagawabashi bridge over 200 years ago during the Edo period. 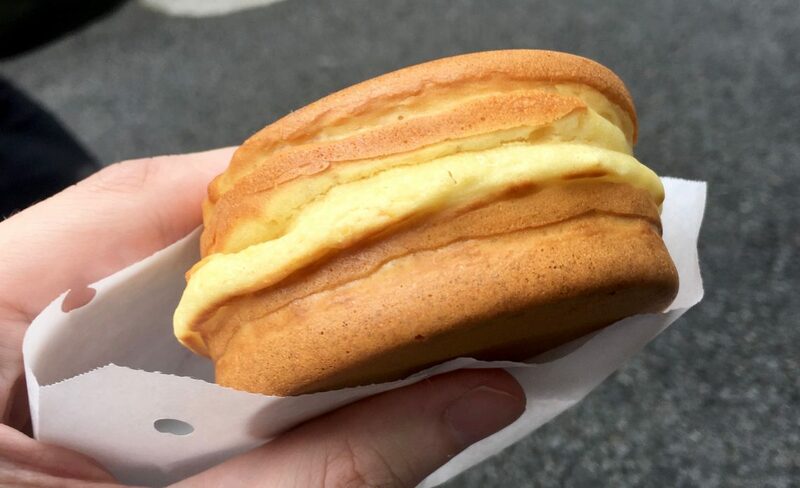 An oba-san (elderly lady) makes you the traditional freshly made Imagawayaki. There is a small bench in front of the store where you can take break to devour your little treat. Only open Friday, Saturday, Sunday. Read more.